Hey internet! I’ve been radio silent for a few days – we were in Atlanta watching JJ’s brother get married! We were both in the wedding party – he as Best Man and me standing as a Bridesmaid. Weddings are such joyous occasions, and the couple are just perfect together. We’re thrilled. Anyway. When we returned, I got my photos! I had 3 prints made at Shutterfly with the plan to mat and frame them for our living room. JJ loves to travel, and we’ve been to some amazing places together. He wanted to hang some photos, so I chose 3 of my favorites. 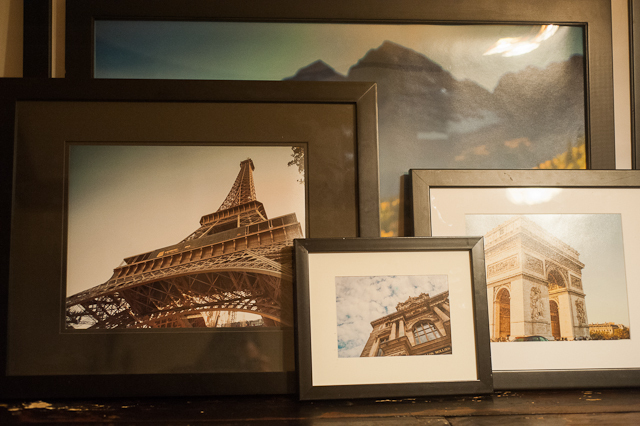 I picked up the frames (and one mat for the 8×10 photo) on sale at Michaels. The prints themselves are nice. I always choose matte over glossy, even with my 4x6s, and they are printed on nice Fuji Premium paper. I think the 8×10 is slightly overexposed, but I think that’s more my fault than the printer’s. The 5×7 though, definitely had a mistake. There are 2 blue dots right in the middle. I checked my upload and they are not there. I called customer service and explained the problem. They immediately credited my account for a free 5×7 and free priority shipping. I’ll let you know how this one turns out. Now we just need to hang them up….